Welcome to Riverhouse Apartments, the premier apartments in Little Rock, Arkansas. Located in the acclaimed Riverdale Neighborhood, our community features studio, one, two, and three-bedroom apartments with every amenity you could ask for. The comforts of your new home give you endless possibilities: Entertain friends in your gourmet kitchen styled with granite countertops, ceramic tile backsplashes, and shaker-style cabinetry; relax and recharge with our resort-style swimming pool, outdoor grilling and entertainment space with fireplace; or stay happy and healthy with our state-of-the-art athletic club. 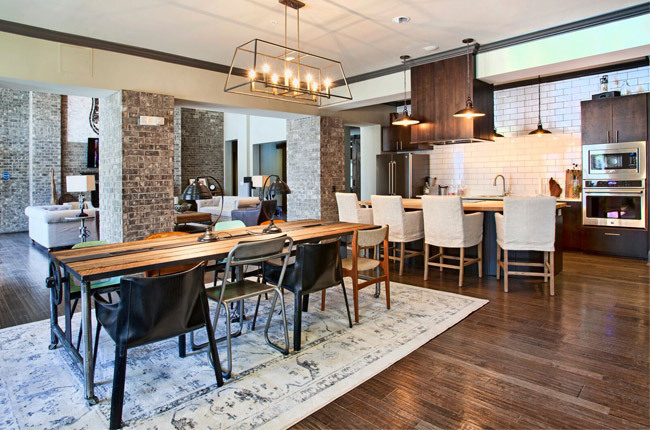 Every convenience is at your doorstep, including Riverdale's unique and eclectic shopping, restaurants, and nightlife, and the 88-mile Arkansas River Trail waiting for you to explore. With so many unparalleled features and spacious floor plans waiting for you, there's no better place than Riverhouse Apartments to call home. Schedule your personalized tour of our welcoming community today! Safely nestled in the Riverdale Neighborhood, Riverhouse Apartments features everything you could want in a picturesque Little Rock location. Convenient shopping is always an option with the Riverdale Center and Walmart Neighborhood Market mere blocks away, and if you’re in the mood for outdoor activities, you can easily take in the sights at Knopp Park, Allsopp Park, and the Arkansas River, where you can enjoy water activities such as canoeing, rafting, and kayaking on a whim. Looking for a night out with some local dining? Juanita's Mexican Cafe & Bar, Vino's, and Sticky Fingerz Rock 'N' Roll Chicken Shack are in the immediate area as well, giving you a wide range of delicious choices. And, of course, the famous Revolution Music Room is only ten minutes away from our community, offering all the live music you could ask for. Our location has something for everyone at Riverhouse Apartments!